A scrub plane is designed to quickly remove large quantities of wood. Based on the Stanley 40 1/2, the open throat and curved blade allow you to take deep cuts with ease. Our Scrub Plane can quickly thickness rough sawn boards or cut stock to width before following with a Jack or Smoothing Plane. It's a great tool for shaping irregular objects, backing out molding to fix irregular walls, or producing a scalloped surface that can be left as is for an interesting textured feature in your work. Blade is 1.450" wide x 3/16" thick, A2 Tool Steel. The Lie-Nielsen No. 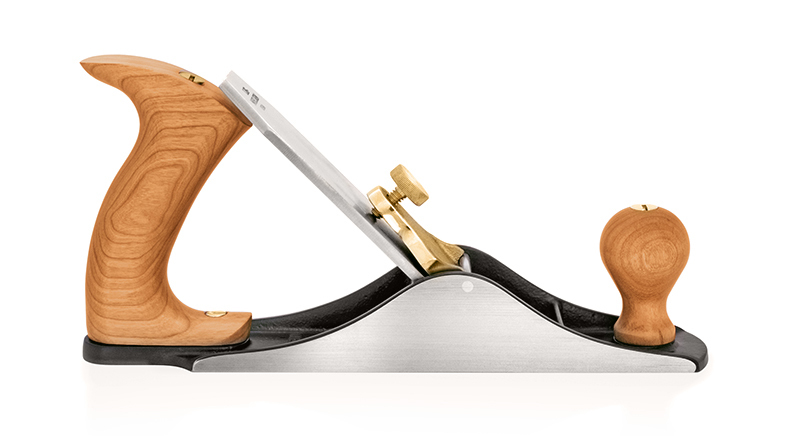 40-1/2 Scrub Plane is based on the Stanley 40½. 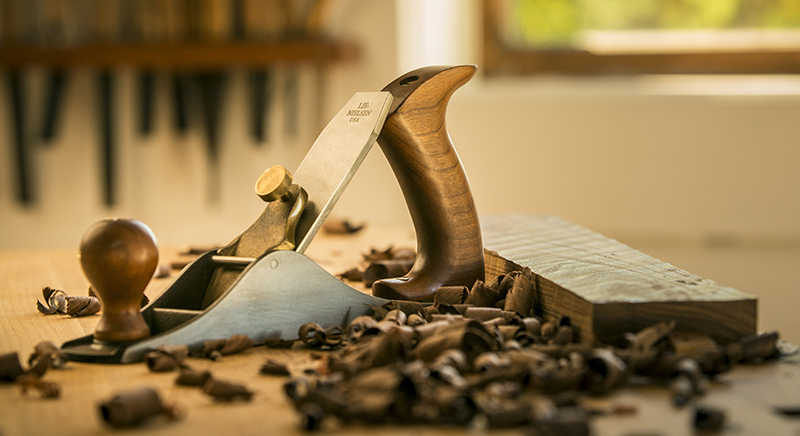 With its large-radius blade and open mouth, this plane removes large quantities of wood in a hurry. In the past, Scrub Planes were used like a Thickness Planer to take rough-sawn boards down to size. Then the woodworker would progress to a Jack Plane, and finally to a Smoothing Plane. 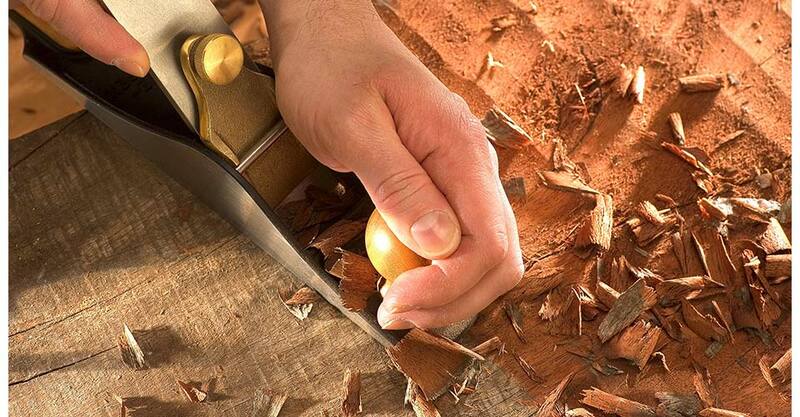 Today’s woodworker will still find pleasure in using a Scrub Plane for that purpose, and will also find it practical for shaping irregular objects, for producing an interesting finished surface, and for trickier jobs like backing out a length of molding to fit an irregular wall. The Scrub Plane blade comes with a 3" radius. The exact radius is not important, and the curve of the blade does not have to be perfectly symmetrical to do a good job. It just has to be sharp. After preparing the back of a new blade like any other plane blade, you are ready to tackle the bevel. One easy way is to hold the blade vertically in a vise and start with the coarsest stone necessary. Hold the stone flat against the bevel, and stroke the stone upward as you move it across the bevel. To hone with finer grits, you may find it easier to work at the bench. Register the bevel firmly on the stone, and roll the blade from one side to the other as you move down the length of the stone. Go all the way up through the grits as you would on any on any plane blade: 220, 1000, 4000, and finally 8000. Roll the blade from one side to the other as you move down the length of the stone. When the edge is sharp, stone the back of the blade to remove the wire edge. The finished edge should be consistently sharp from one side of the blade to the other. The blade is inserted with the bevel facing down. Sight down the sole to set the depth of cut — practice will tell you the amount of exposure needed for the job. The body is cast from Ductile Iron, a very strong alloy that will take a lot of abuse. We use Manganese Bronze for the cap. These castings are fully stress relieved, a process that removes inherent stresses and ensures that the tool will remain flat and true. The blade is A2 Tool Steel hardened to Rockwell 60-62, cryogenically treated and double tempered. Our heat treating technique ensures that the blade will take and hold a very fine edge for a long time. After heat treating, the blade is fully surface ground on the top, back, and cutting edge, giving a smooth, flat surface that will take a mirror finish very quickly. The 3/16" thickness provides solid chatter-free cutting. Depending on how much use your tool gets, an occasional light sanding with 320 grit or finer wet/dry paper on a flat surface will keep the sole in as-new condition. Tools with Iron bodies should be kept lightly oiled or waxed to prevent rust. We recommend Jojoba Oil, a plant based oil product that is non-toxic, odor-free and easy to use. Also, in our shop, we use a fine abrasive handblock to remove any light surface oxide from tool bodies and blades. Jojoba Oil and abrasive handblocks are available from us.